The paper on Czech conservatism in Liblice has now appeared in a conference paper archive on the website of the Henrich Boell Foundation, who jointly sponsored the event with the Institute for Contemporary History in Prague. There are also some much better and more interesting papers alongside. What I wonder would the English Greens call their foundation – if, of course, they had the cash and the votes to create one, of course? Update: The broken hyperlink the papers originally posted has now been fixed. Bad news for anyone holding our any hope for the greening’ of the Czech Civic Democrats (ODS) alone the lines what the British Tories under David Cameron have (supposedly) embraced: ODS’s one renown and respected ecological expert Senator Bedřich Moldan is quitting the party after 20 years membership and is tipped to stand for the new TOP09 party. He is interested in standing for a new Senate seat, but won’t defend his existing one where the partner of ODS leader Miroslav Topolánek is likely to be parachuted in (a nepotisitic looking move that is likely to damage the party – and will probably be stoked by undercurrents of sexism which always make sure that prominant Czech women politicians always have a particularly bad time). Moldan’s statement as reported in the Czech press does not really explain his decision to quit the party, but it seems more than possibly that political differences may have something to with it, although on the other hand he stuck loyally by the party under Václav Klaus when it was at its most militantly anti-ecologist. Indeed, he was a member from its foundation in 1991. These days the party is more about climate-change-dunno than climate change denial, although VK has naturally left his ideological fingerprints everywhere despite stepping down as leader the best part of a decade ago. In a loosely Cameroonian spirit, the Czech Civic Democrats (ODS) are calling for global environmental responsibility over climate change at the Copenhagen conference: a tough call, as they are not entirely agreed that it is taken place and, if it is, what is causing it. 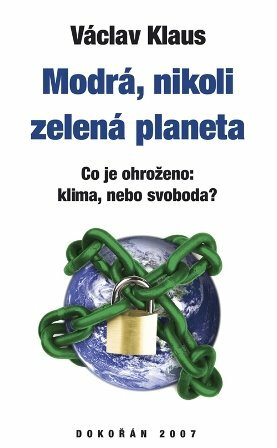 The two most prominent ODSáci attending the conference are a case in point: ecological expert and one of the few plausible green figures in the party, Senator Bedřich Moldan, and the more climate change sceptical MEP Miroslav Ouzký. The result? A confused press release, which carefully doesn’t mention the cause of climate change, but instead stresses a grab bag of lesser (but shared) ODS concerns: money must not be wasted; the competitiveness of European industry must not be damaged; deforestation in the Third World is a/the key issue; technology not emissions limits will save us; big countries are dominating the conference and obstructing an agreement (wake up and smell the fair trade coffee, gentlemen). Somehow the party is more irritating in confused, evasive mode, than it is when in traditional Klausian flat earth mode. The Guardian teams up with liberal newspapers around the world to make a quintessentially middle-of-the-road appeal for moderate and sensible agreements between world leaders to rein in carbon emissions at Copenhagen. East European partner newspaper are, however, conspicuous by their absence: Poland’s Gazeta Wyborcza, Russia’s embattled Novaya Gazyeta and no less than two Slovenian newspapers (serious broadsheet Delo and the popular Večer), but no press voices from Hungary, the Baltic, Slovakia, Romania or (possibly no surprise here) the Czech Republic. Perhaps The Guardian just wanted a representative sprinkling of global opinion. However, medium sized, Old EU countries are much better represented. As one of PhD student points in a journalistic blog thinkpiece, CEE states, intellectuals aside, tend not to do global responsibility or even want much of a hand on the tiller of global governance. Too used to being transition states stoking the fires of economic growth to realize that they are part of the global North. But as Czech philosopher Václav Bělohradský, anti-capitalist liberal, pithily observed, when viewed from Africa a butcher’s shop in Munich or Prague looks pretty much the same. >CEE and the Euro-elections: Left behind? >So the results of the Euro-elections are in. Having missed out the chance of TV stardom on the BBC Euro-election results programme – half of SSEES seem to have been rung up by various BBC researchers looking for a pundit on Eastern Europe (in the end they did without one) – I can’t resist a brief bit of instant(ish) analysis. The story as generally reported from a West European perspective is that centre-right incumbents have heldon; the centre-left – opposition or incumbent – has not made expected gains against the background of global recession and social insecurity; Greens, the far right and the anti-market left made modest gains, scooping what there was in the way of Europe-wide radical protest electorate. A quick glance suggests that CEE suggests that region looses mirrors this trend: only Robert Fico’s Smer in Slovakia (as ever) has really bucked trend of social democratic under performance. Most surprisingly for me -was the performance of the Czech Civic Democrats who managed to avoid the predicted photo finish with the Social Democrats and win the Czech euro-election comfortably with 32% of the vote. The Czech Social Democrats (ODS), however, recovered from the electoral meltdown of 2004 and pulled in a more than respectable 24%, which should enable them to walk a bit taller in the depleted Socialist Group in Brussles. (They will, I suspect, be rather harder to beat in the October parliamentary elections, but, hey, this is the Czech Republic we’re talking about, so the smart money should perhaps be on political deadlock). However, closer examinations suggests something of parallel narrative in CEE. Indeed, the much discussed erosion of Social Democracy in Western Europe does not seem (as yet) to playing out in the region. Although the Hungarian Socialists were predictably whacked (losing 4 MEPS) and the Estonian social democorats too seem to have lost a seat, other social democratic parties in the region seem to have more or less held their own: as noted, the Czech Social Democrats won’t be crying into their beer too much and leaders Slovakia’s Smer could reasonably crack open the champagne. 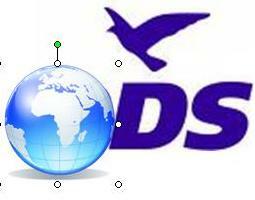 The Bulgarian Socialists held their own as did the Romanian and Slovenian social democrats. Even the marginalised post-communist left in Poland has undergone a minor revival. This may perhaps be because there are few if any centre-left parties in the region can really claim to authentically social democratic. But to my mind the regional disparity seems more to interpretable in terms of CEE’s less post-industrial, fragmented and multi-cultural societies posing less acute strategic dilemma. 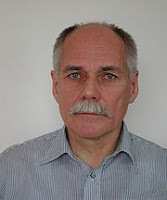 The grand narrative of social democratic decline/crisis has been academically well set out in Herbert Kitschelt’s 1994 classic The Transformation of European Social Democracy and put across in more digestable form by academic commentators such as Simon Hix in commentaries on the Euro elections. The basic story is this: social change, globalization and economic restructuring are generating competition pressures in the political arena as the big centre left parties struggle to cope with the break up of helectoral coalitions that underpinned them: Greens eating into their support among left-liberal public sector professionals, the populist far-right (and in some places workerist radical left) making inroads among working class voters in deindustrialized, credit crunched former heartlands. Central and Eastern Europe’s Greens – never a very strong electoral force – seem again to have bombed entirely. This was in part – but only in part – due to the smaller populations and hence smaller numbers of of MEPs elected in CEE states which raised the effective threshold of votes. But even in a largeish state like the Czech Republic where a mere 5% would have done the trick the Green Party (SZ) failed. The SZ gained miserable 2%, as internicine factional infighting seemed at last to have taken an electoral toll – although cynics will note that the political support of Václav Havel, which always turns out to the kiss of political death for any new party. To get back to centre-left, CEE social democrats have it a little easier. They face little competition from eco-liberal parties – whose support is small and would probably not have gone to them in the first place – leaving economic populists and anti-establishment novelty parties as the main challenge. There is also perhaps a larger constituency demanding social protection making brusingly pro-welfare positions a safer political bet (at least when campaigning in elections). There is, I suppose, less of ‘core vote’ to fall back – the Czech Social Democrats’ vote, for example, has rollercoasted wildly over the past decades despite the engrained social market preferences of a huge chunk of the Czech population – but in sense the lack of one is perhaps almost an advantage. After all, what you don’t have can’t be eroded. I am fed up being rung up by journalists and asked about the far-right in CEE, so I’m not going so say much about this particular dog that doesn’t bark (much) Given the very healthy vote for the Front National, Danish People’s Party, Austrian Freedom Party, Dutch Freedom Party and, of course, and our own BNP, I am eagerly awaiting Polish and Hungarian journalists getting onto the phone up to ask wave of right-wing extremism of sweeping Western Europe threatens democracy in the region. >Slovakia: Greens to take new direction? Slovak right-leaning/liberal daily Smer reports on the difficult relationship with Slovakia’s Green Party. While the Greens in the neighbouring Czech Republic are a key part of a centre-right coalition and relations with the opposition Social Democrats are pretty icy, Slovak Greens, more conventionally, have signed a co-operation agreement with Robert Fico’s governing centre-left Smer (‘Direction’) party. (Having flopped in the early 1990s – as happened in so much of CEE – the Slovak Greens were previously part of the not too successful centre-left e coalition with post-communists and social democrats before Smer came crashing onto the political scene, so there is a of precedent ). However, Prime Minister Fico’s criticisms of radical environmental protesters in the Tatra national park have not endeared him to his new allies in the small extra-parliamentary Green Party and raised doubts about the supposed ‘greening’ of Smer, a party better known for its nationalist and populist inclinations than its post-materialist concerns. The Greens have also laid into the government’s motorway building plans and are none too keen on the current Minister of the Environment, Ján Chrbet, a member of the radical Slovak National Party (SNS) and his ‘populist’ allocation of EU environmental funds. Commentators quoted by the right-leaning Smer dismiss the party’s ‘greening’ as a superficial exercise designed to boost its social democratic credentials in the eyes of West European partners. Given the Slovak Greens’ dissatisfaction and reasonably good 2.7% rating in recent polls, it looks like they may be tempted to go elsewhere and perhaps try their luck as Czech style eco-liberal party. As might perhaps have been anticipated, the Bulgarian President’s package of electoral and party regulation reforms, reports the Sofia Echo, has met an indifferent-to-frosty reputation from parties of the governing coalition – like most CEE presidents (and unlike President Basescu in neighbouring Romania) Bulgaria’s President Purvanov is not a big political player. The declining Movement for Stability and Progress, of ex-PM and -man-who-would-be-king-if-Bulgaria- was-monarchy, Simeon Saxe-Coburg, are according to the Echo against it because as a small party they would lose out from any more majoritarian system and, as they rightly, point out because it isn’t the most obvious solution to (supposed) problems of vote-buying. However, the Movement’s website reports that it is in favour of some form of mixed electoral system, although it seems to see the ‘majoritarian’ element partly in terms of allowing voters greater choice of individual candidate by freeing up the system of preferential voting allow electors to re-order the ranking on party lists. Other small parties like the far right Ataka bloc are against, presumably for similar reasons. 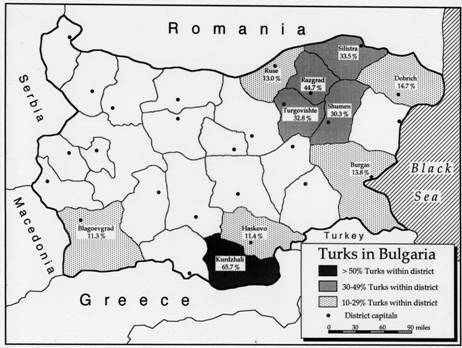 The Turkish minority party, the Movement for Rights and Freedom’s, also has more to lose than to gain: there seem to be concentrated minorities of ethnic Turks in five of Bulgaria’s 28 districts (see map), suggesting about the same level of parliamentary representation for the MRF as now (assuming lack of ethnic polarization). However, any new electoral system, especially one with a less proportional outcome, might deprive the MRF would lose its pivotal kingmaking status, so the party would have to risjk much for limited gains. The Bulgarian Socialists, who might, as a big, once very dominant party, have something to gain electorally, also now seem lukewarm. The Sofia Echo quotes Socialist PM Sergei Stanisheas saying that the “BSP had already bet on the majority element in the 2007 elections for European Parliament, but this did not lead to great results”, although I’m not clear if that means the euroelections were held using some kind of ‘mixed’ MMP system.The Bulgarian election commission’s website suggests that it was a straightforward party-listed based proportional contest, although unfortunately I can’t read enough Bulgarian to read the technical summary. With heroic optimism (and a certain disregard for the facts) President Purvanov sums up the result of his abortive roundtable on report by as saying that “we all seem to be in favor of introducing a stronger majority element in the elections but no one wants to take the responsibility and make the decision in favour of it.” Not how I read it. Meanwhile, in a separate development the Echo also reports that the country’s two Green parties have merged. Nosing around for political simulation games that might be useful for teaching purposes, I came across a test version the online CO2FX educational game simulating global warming and development issues. It plays quite well. You get to play Brazil and there are parts for political, scientific and scientific advisers (although I combined all three). I go for a distinctly unhistoric free market-ish development strategy, slashing taxes and scrapping agricultural subsidies by the early 1970s and putting on few green carbon taxes when economic growth and huge popularity make this possible. I misjudge things and by the turn the 21st century I realise I have to boost R & D budgets and impose punitive carbon taxes to push the nation’s fossil fuel dependency down – compensating for this by further reductions in personal and business taxes. I do manage to get fossil fuel use down to 20% but 2040 without too much pain. Unemployment rises a bit, but GDP is still rising and the government is still popular, but human development indicators (never great under my regime) are awful. Life expectancy dips below 1960s levels. Meanwhile, the ice caps have melted, rising sea levels have caused flooding and CO2 and global temperature have soared. I blame the Chinese.